Got an Android tablet or phone? You may have read advice about turning off your Wi-Fi to save your device’s battery and that is good advice but, here’s a tip to save you having to keep changing settings but still save power automatically. 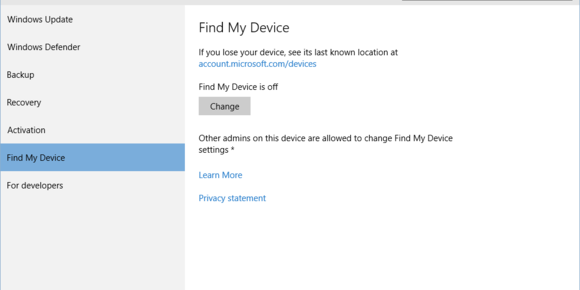 Go into the Settings app and tap the Wireless and Networks section. 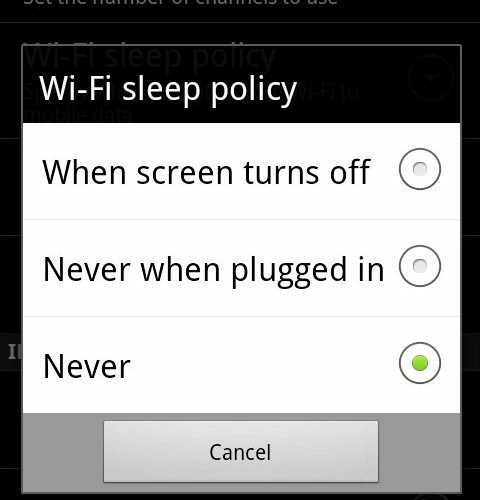 Next you tap Wi-Fi Setti ngs and look for the Sleep Policy. If you tap that, you will get 3 options. Probably you will see the status set to NEVER which means it never sleeps -thus draining your battery. 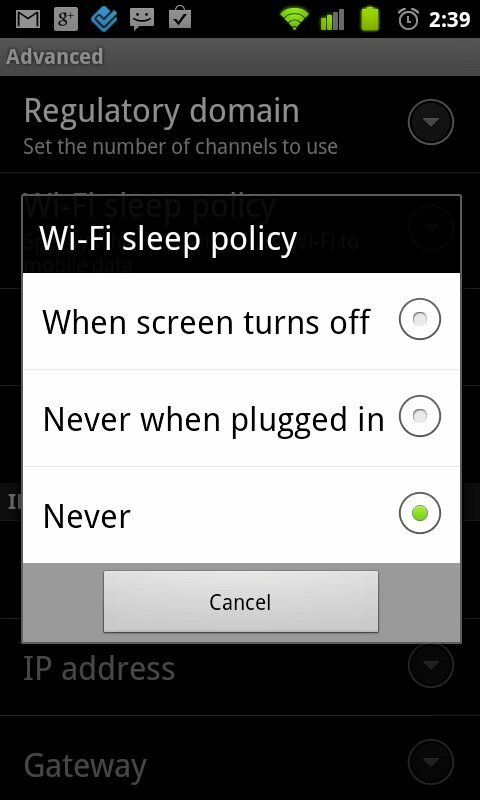 Select the option ‘When screen is turned off’ which means it will shut off the Wi-Fi when the screen is turned off otherwise known as standby mode. That way you can save power without having to keep making changes to the settings.